A free and guided (gentle) indoor walk, around Swindon Designer Outlet lasting 20-39 minutes. Optional special offer coffee at Giraffe afterwards. 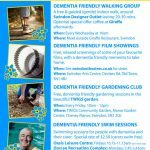 Free, relaxed screenings of some of your favourite films, with a dementia friendly memento to take home. 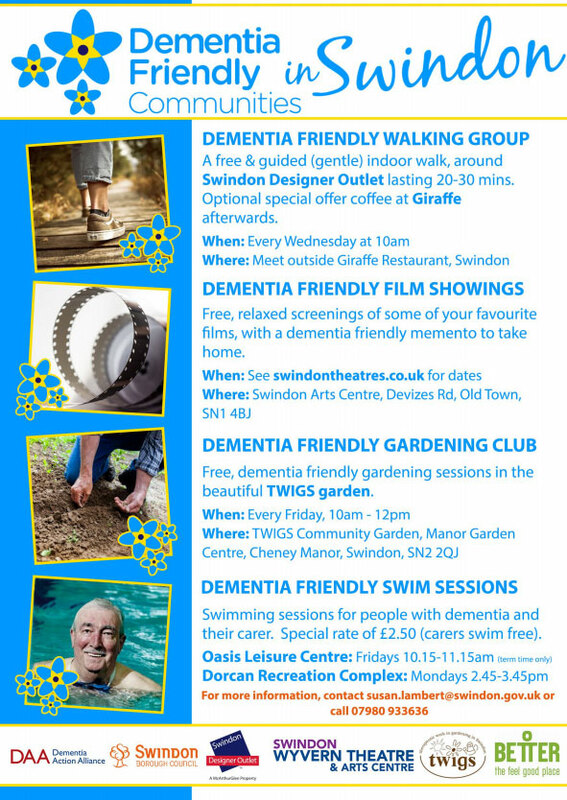 Free, dementia friendly gardening sessions in the beautiful TWIGS garden.